Set on Batu Bolong Beach, there’s nothing too boutique-ish about Jo Je, but the rooms are clean and the superiors and up are of a decent size. Ad Book now! Rates from US$19.76++. Average rating 7.6 from 200 reviews. They’re in a small block clustered around an equally compact swimming pool, which, with the beach so close, could have been done without as the grounds feel quite cramped with the pool wedged in. Rooms are spacious, with simple furnishings and basic bathrooms and facilities, including a TV and WiFi in the room. A decent stretch of grey beach out front has some shade. The beach bar beside Jo Je would be a handy spot for sundowners, but we’re not sure how late it runs. For beachside, the online rates are not too bad -- the Transit Hotel next door is cheaper but the rooms a solid step down in quality. If you are considering here, shop online for a discounted rate as what we were quoted as a walk-in was seriously overpriced for the standard, and the standard rooms in particular were small, dark and unappealing. Expect some traffic noise from the road immediately behind. 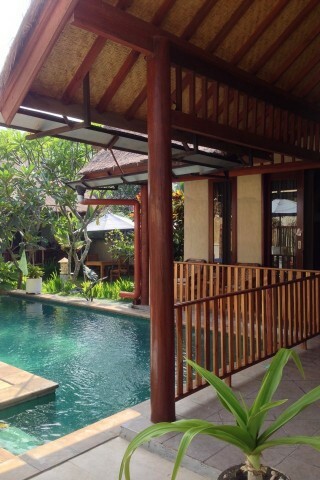 Check rates at Jo Je Boutique Bungalows on Booking.com.